As the process of updating my Know Your Enemy articles continues, I wanted to address some of the gaps left in previous articles before publishing anything new (yes, Attack Cruisers is coming - honest)! In particular, there were two things that really needed fixing. The first, as you probably noticed, was that my Combat Frigates article only covered five of the eight ships in the class. At the time that I wrote it, the Tristan, Kestrel and Breacher were still pre-tiericide and I decided it was better to leave them out and add them in later rather than include them in their unbalanced form. That, finally, is done. The other issue was less obvious, and has to do with the Condor. I wrote my Attack Frigates article quite soon after the ships were released, and at the time the Condor wasn't all that popular. In the time since then, there's been an explosion of light missile Condors to the point that they're probably one of the most popular T1 frigs around. That really wasn't reflected in my article, and I was probably misleading a lot of people as to the frustratingly awesome nature of this ship as a result. Solution: the Condor entry has been rewritten too! Did I mention that the Metropolis nebula looks awesome? Because it does. While there are other ships in this class with reasonable drone complements, the Tristan is unique among the combat frigates as the only specialised drone boat. With 25mbit/s of drone bandwidth the Tristan is able to field a full flight of five light drones, with enough drone bay for three spare. Unusually it doesn't receive the normal bonus to drone damage and HP that you'd expect to see from a drone ship, instead receiving 10% per level to drone HP and tracking. The tracking component of that bonus will probably be fairly inconsequential for an experienced pilot, however it should improve damage application for newer drone users, particularly if you haven't trained Drones V and are using a mix of light and medium drones to compensate. The Tristan's second bonus goes to turret tracking speed, although with only two turrets this bonus isn't really anything to get excited about. It does however make it easier to use a rail setup without having to worry about tracking problems quite so much. The Tristan gets a 3/3/3 slot layout, giving it plenty of of versatility in terms of fitting. The most common choice is to fit a light armour tank, with some combination of 200m plate, Damage Control, Drone Damage Amplifier or possibly a rep in its low slots and freeing up the ship's mid slots for range dictation. This allows the Tristan to either brawl in close with blasters or kite with rails, both of which it does well. Despite not having a damage bonus to either weapon system, the Tristan has a great deal of offensive power. A blaster Tristan without any damage mods can put out something in the region of 180dps with Hobgoblins and Void, with rail variants putting out anything from 150 to 180dps depending on the number of DDAs they're using. A shield tanked, full gank setup can reach something in the region of 220dps, although those tend to be quite uncommon. This isn't a particularly fast ship, with typical speeds of around 950-1km/s with an afterburner or anything up to 3km/s with a MWD, nor is it particularly tough - about 6k EHP on a buffer fit, or less on an active setup. The Tristan's biggest strength is the versatility of its damage output - its drones provide a good 100 to 140 dps, and are equally effective against targets orbiting close as they are those far away. The only targets which can present problems on this front are fast kiters such as the Condor, where the Tristan's light drones simply aren't able to stay in range of their fast moving target. The Tristan is particularly dangerous against fragile close ranged kiter-brawlers like the Slasher or Rocket Condor, which rely on range control to stay alive. It can also be dangerous against any ship which is unable to control range against it, the classic example being its close relative the dual rep Incursus. However, the fact that you can destroy the Tristan's drones means that providing your tank it strong enough to stay alive until you've done so (which the dual rep Incursus' clearly is), it should be possible to at least force a stalemate. If you're able to hit the Tristan effectively, then I don't recommend going for the drones. This isn't a particularly tough ship, and thanks to its spare drone bay the first three drones are likely to be instantly replaced anyway. This ship is far from a push-over in a brawl however, particularly in its blaster configuration. Thanks to its spare high slot many Tristan fits feature a nos or neut, allowing them to run a small rep almost indefinitely or put additional pressure on your own tank if your ship is particularly cap-dependent. In fact while it isn't common, some Tristan fits drop one of both of the guns for extra neuts, making them particularly dangerous to anything with an active tank and/or cap-intensive guns. Even against a rail Tristan, you're only going to evade a small portion of its damage output even if you can get under its guns, making this a relatively difficult ship to counter directly. One thing worth noting about the Tristan is that drones are a relatively skill-intensive weapon system which many players don't have trained as highly as they perhaps should. 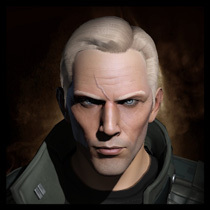 Very new players are unlikely to have Drones V or T2 light drones, both of which improve this ship's performance substantially. The Drone Interfacing skill also contributes a large portion of its potential damage output, with 20% more damage per level and a fairly long train to hit level V. Expect the Tristan to be much more dangerous in the hands of a well-skilled character than it would be when flown by a relative newbie, more so than is the case for any of the other frigs. The Kestrel is very similar to its attack frig counterpart, the Condor. Its 4/4/2 slot layout is identical except for an extra launcher hardpoint, however with a 5% instead of the Condor's 10% this leaves the Kestrel with only a relatively small advantage in terms of damage output. It's worth noting that the Kestrel's damage bonus is not specific to kinetic missiles, which gives it an edge in any situation where kinetic is not the optimal damage type to use. The most substantial differences between these two ships are speed (the Condor has it, and the Kestrel doesn't) and range (the Condor has it, the Kestrel has more of it) - with a 10% per level bonus to missile velocity, the Kestrel is able to reach out to about 60km with light missiles or 22km with Javelin rockets. 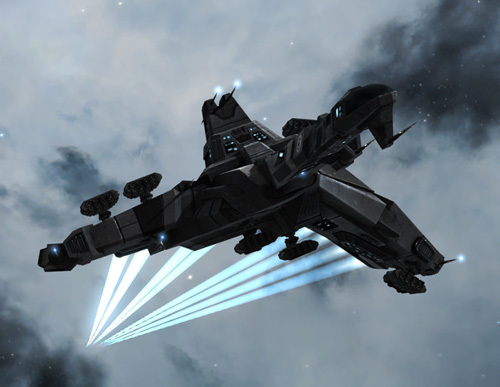 Like the Condor, the Kestrel is most popular as a kiting ship with light missiles. Unfortunately for the Kestrel however this is a role which the Condor already does exceptionally well, and it's difficult to see why you'd choose the Kestrel over it. Additional range is the Kestrel's principal advantage, however this is only really relevant when you're operating in a gang since a solo Kestrel is already limited by its point range. The loss in speed is a direct disadvantage, with the Kestrel topping out at about 3km/s - a full 1km/s slower than its attack counterpart. The Kestrel also suffers from cap instability given that it doesn't receive the Condor's bonus to tackle module capacitor use, which can be a significant problem for a ship that doesn't kill things especially quickly. Aside from its selectable damage type, the main benefit that the Kestrel does have over the Condor is an extra chunk of powergrid. This let's it fit either a Medium ASB or Medium Shield Extender relatively easily, allowing more room for error should an opponent manage to land a solid hit. Whether this advantage is worth the loss in speed, I'll leave up to you. As a rocket ship the Kestrel's advantages are slightly more noticeable, particularly when it comes to tanking. Higher base HP and more powergrid allow the Kestrel to fit a moderate buffer tank for around 6km EHP, or to fit dual MASBs without relying on fitting mods (something which the Condor couldn't really do). Despite this, the brawling capability of the Kestrel remains fairly unimpressive - its tank is moderate and its damage output is low, typically around 100dps with faction rockets. While its flexible range make the rocket Kestrel good at close range kiting, the faster Condor does this job more reliably thanks to its higher speed. The range bonus does make the Kestrel less vulnerable to kiters operating in the 15-20km range (as well as allowing the Kestrel to kite at that range too if it chooses), but again it's a relatively small advantage all thing considered. As a gang ship, the Kestrel is considerably more appealing. There aren't many frigates which can apply damage effectively at this kind of range, and the Kestrel's high mid slot count allows it to operate as quite an effective hybrid EWAR/damage dealer in frig gangs, as well presenting a significant threat to light support ships (for example, actual EWAR ships). If you're flying something like a Griffin, beware of ships like the Kestrel which can apply damage to you from range; it's easy to remain oblivious to the danger until the first volley lands, and while the volley damage on a light missile Kestrel isn't amazing (about 700), it doesn't take many such volleys to down a fragile ship like yours! Unsurprisingly, you should approach fighting a Kestrel in pretty much the same way as you would a Condor - land a scram, get to your ideal range and if you're using turrets keep angular velocity to a minimum. Catching a light missile Kestrel should be much less challenging than catching a Condor thanks to the lower speed, but you should still expect some difficulty particularly if you're AB fit. Against a rocket Kestrel, you should find it easier to get close (or to pull range) than you would against a faster ship. As with all missile ships, the faster you can keep moving the less damage you're likely to take. Don't discount the significance of the Kestrel's ability to select damage, particularly if you're flying something with a obvious resist hole - if they're smart, there's a good chance that they'll exploit it. The Breacher is fast for a combat frigate, second only to the Rifter in terms of base speed and often faster in practice. In terms of performance it's quite similar to the other two missile frigs, however the Breacher does offer a few interesting advantages over its peers. Compared to the Kestrel the Breacher trades a launcher and the associated high slot for an extra low, gaining a pair of light drones to make up the difference in damage. It also swaps the Kestrel's missile velocity bonus for one to shield boost amount, making it a very capable active tanker. 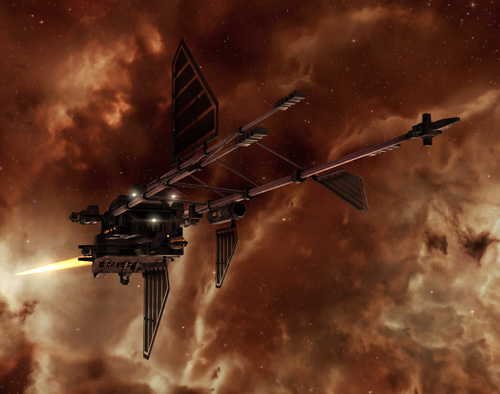 Unlike it's Caldari counterparts, the Breacher is more commonly used as a rocket ship. Thanks to its flight of drones and additional low slot, your typical rocket Breacher actually puts out slightly more damage than either of its competitors, typically in the region of 110 to 130dps with faction rockets. While it doesn't offer the raw firepower found on most of the turret ships, flexible range and consistent application make that figure much more impressive than it might initially appear. With a top speed of around 1.2km/s under afterburner the Breacher is only a shade slower than the Condor, making it very capable when it comes to dictating range. Afterburner, scram and web are standard on most Breacher fits, although some will drop the web in exchange for additional tank. The Breacher is a fairly fragile ship, however with its active tanking bonus it works very well with one or two Medium ASBs, providing the ship with a powerful tank for a short duration. A single MASB let's the Breacher tank something between 120 and 150dps without heat, which is enough to turn aside the full damage output of many other T1 frigs for a limited time. The ability of the Breacher to control range allows it to mitigate some damage by other means too, potentially increasing the lifespan of its ASB charges to some extent. While I haven't seen it done, it's actually possible to take this even further by armour tanking the Breacher, and with three low slots it's actually quite capable of it. While this sacrifices the Breacher's impressive tank, it does mean it can squeeze on a Tracking Disruptor alongside the usual AB, scram and web. Combined with its already strong range control capability, this could potentially make the Breacher highly dangerous when used against turret ships. As a light missile ship, the Breacher is far less common. In terms of performance it's sort of like a light missile Condor but worse; it's a little slower (typically 3.5 to 3.7km/s with MWD), less cap stable, and reliant on its drones to deal part of its damage output. It does retain the advantage of selectable damage type, but other than that there's no compelling reason to use one and that's reflected in the fact that you don't really see them very often. When you're fighting a Breacher, try to keep moving to reduce its damage output (ideally directly towards or away from it to keep angular velocity low) while aiming to apply your damage as effectively as possible. Its ASB(s) provide an excellent tank, but only if it keeps them running constantly. At that rate it's tank will only last a little over 20 seconds, after which its relatively fragile buffer will crumble quite quickly. Remember that it's almost definitely going to be a shield tanker, so EM or thermal damage will be your best friend. Against the light missile variant, essentially treat it like a light missile Condor - slingshot and get a scram if you can, otherwise see if you can throw it outside of point range to break tackle and warp. Don't forget about the drones - if you're not able to get into range of the Breacher itself, kill the drones and you'll cut its damage output by about a quarter which should buy you a little more time. Sky in The Forge is dull and boring in comparison. Probably because of Falcon.